Chances are G.S. DUNHAM already has a working relationship with your management company. Simply call us and request a site survey for any problems you may be experiencing or for recommendations to help improve economic operation of your steam system. We have a full service department that specializes in Vari-Vac® and Low Pressure Steam Systems, Controls, Pumping Equipment, and more. 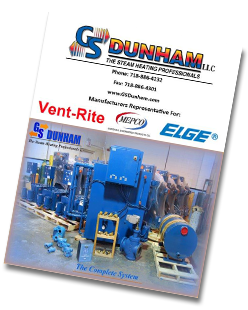 If you perform in house maintenance such as steam trap overhaul and replacement, we can help you purchase the right equipment. We will be happy to instruct your staff on proper maintenance procedures. We can also provide instructional classes at our classroom including PowerPoint presentations and steam trap testing with our steam trap testing station.